Picking up on the last article where we talked about the first few steps we take when exploring our data, the last step i.e Data cleaning is probably the most time and resource intensive step. One of the first things you do when presented with a data sample (probably even before the Explore and Correlate step) is to split your dataset into Train and Test set. This is very important because you want to set aside some data to “validate” your approach and you don’t want your algorithm to “learn” about all the data points else you will have no idea how it will react when it is faced with a new so-far-unknown data point in the real world. a) A very common example here is during electoral poll surveys they do not call random people but people are selected in such a fashion that the selected people are representative of the whole population. Therefore it is better if our training and test set also be a representative of the whole population so that the model is not biased. b)Suppose you have a dataset comprising of heart beats per minute of a set of people. You want to predict the person’s lifespan on the basis of it. We know that age of a person plays an important factor in the number of heart beats per minute. Suppose the dataset comprises of 50% people in range of 18-30, 40% in range of 30-50 and 10% above age 50. As you can see the data set is skewed and the representation of different classes (age in this example) is 50:40:10 . But the distribution of the age range in this dataset represents the distribution of the age of the actual population. A model trained using the training set created by Random Sampling may not be in the ratio of 50:40:10 and hence may not give us the most accurate results. Stratified random sampling involves first dividing a population into subpopulations and then applying random sampling methods to each subpopulation to form a test group. It splits the dataset in such a fashion that train and test set will maintain the ratio of the samples in the original dataset. All we need to do is pass stratified sampling the column, whose proportion you want to maintain in train and test. Next lets see some code taking SPAM classification as an example. 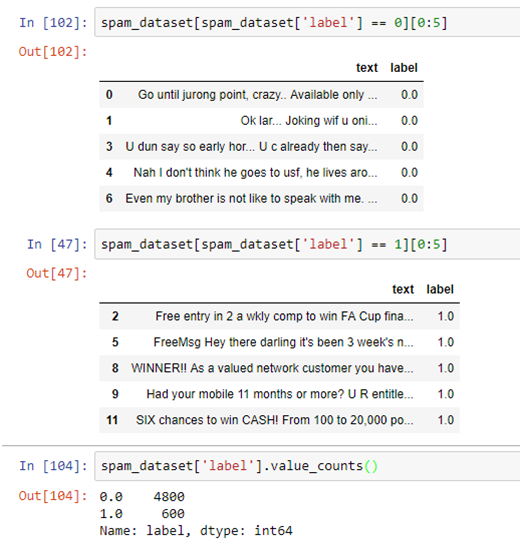 The dataset contains two columns text and label. The text column contains the message and the label column contains 0 or 1 indicating whether the message is normal or spam. 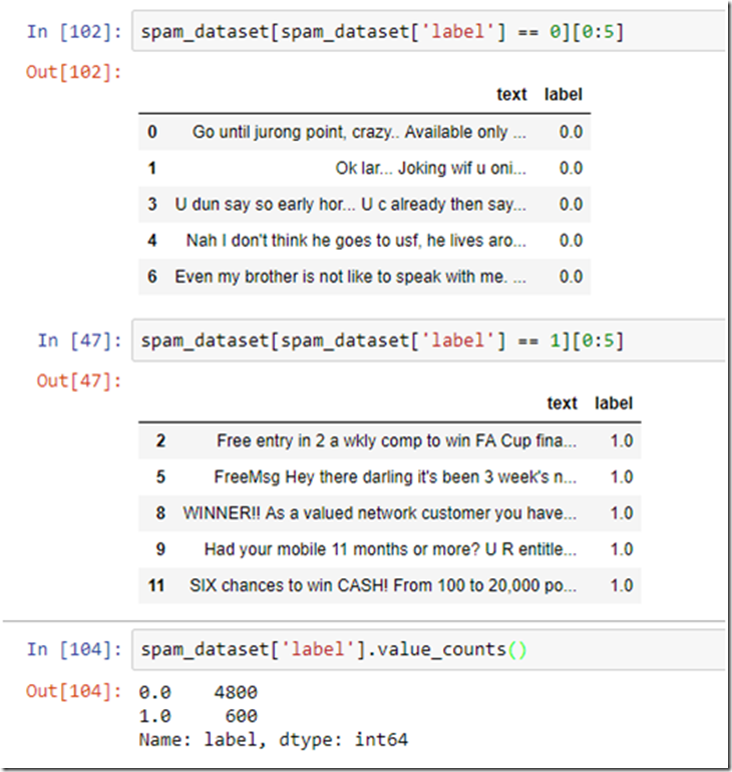 As you can see the dataset contains 4800 normal or non-spam messages and 600 spam messages. The ratio is 8:1. Lets split the data using random sampling as well as stratified random sampling and see the representation of spam and not spam in the training set. Basically we used the same train_test_split method and simply set the ‘stratify’ parameter to the column whose ratio you wish to maintain. Here we specify the column, whose ratio we wish to maintain. The “shuffle” in the stratified shuffle split ensures the dataset is shuffled before the split so that we don’t get the sequential data. Now that we have split up our data into test and training set, next we will look into some pre-processing activities we do to clean up and prepare the data!